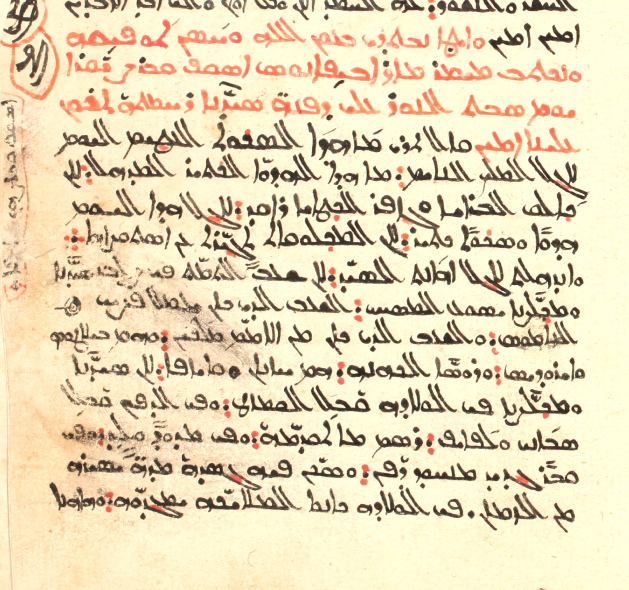 A few years ago (2011), Alin Suciu pointed to some Coptic manuscripts of a homily for Holy Saturday attributed to Epiphanius of Salamis (see here). The Greek is at PG 43: 440-464 and some data is available for other versions at CPG 3768; Alin kindly provides PDFs for both of these in his post. 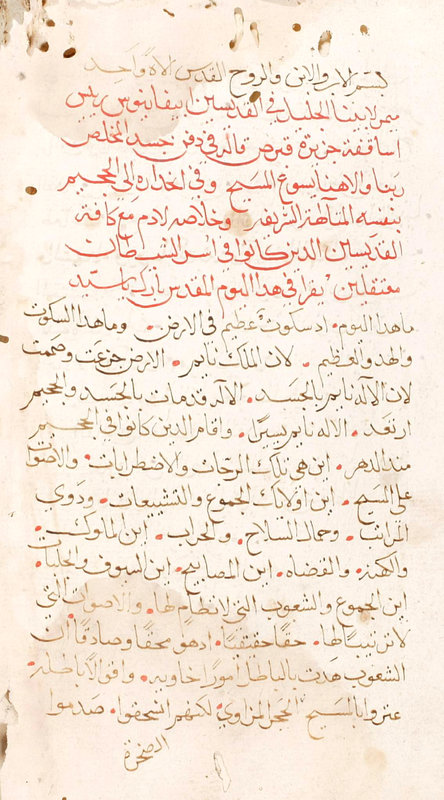 I would like to add some more information on this homily — attributed elsewhere also to Anastasius of Sinai and even Cyril of Alexandria — in Gəʕəz, Georgian, Armenian, Syriac, and Arabic/Garšūnī; for all of these versions except Georgian and Armenian, there are manuscripts available through HMML. There is no Gəʕəz in the CPG list, but there are at least four copies known to me; I have not, however, checked all the catalogs. In these four manuscripts, at least, it is attributed to Anastasius of Sinai, as in Vat. Syr. 369 (see below). Homily of Saint Anastasius of Mt. Sinai on how [Jesus] was buried and his descent into hell, and on Joseph of Arimathea, Jesus’ disciple. Incipit: ይቤ ፡ ምንት ፡ ይእቲ ፡ ዛቲ ፡ አርምሞ ፡ He said: What is this silence…? დიდსა შაფათსა. საკითხავი. თქუმული წმიდისა მამისა ჩუენისა ეპიფანე კჳპრელ მთავარებისკოპოსისაჲ დაფლვისა თჳს უფლისა ჩუენისა იესუ ქრისტჱსა და იოსების თჳს მართლისა. Great [i.e. Holy] Saturday, reading: Homily of our father, Saint Epiphanius of Cyprus, archbishop, on the burial of our Lord Jesus Christ and on Joseph the Just. [Homily] of our father among the saints, Epiphanius of Cyprus, archbishop, on the burial of the divine body of our Lord Jesus Christ, on Joseph and Nicodemus, and on the Lord’s descent into hell after his life-giving Passion, which is read on Great Saturday. Bless us, father! What is this thorough silence today on the earth? What is this silence? “La tradition géorgienne est surabondante,” he says, citing eleven manuscripts in addition to Athos 11. For Armenian, too, CPG points to Van Esbroeck’s study, again with no page references. At the end of the section on this homily, he lists Venice 201 and 227, and Matenadaran 993, № 106, where the homily is attributed to Cyril of Alexandria. Others have noted that this homily, whoever wrote it, was obviously popular in several languages. There is, I think, no English translation from the Greek or any of the versions, so a monograph on one or more of these versions, with English translation, is an obvious desideratum.